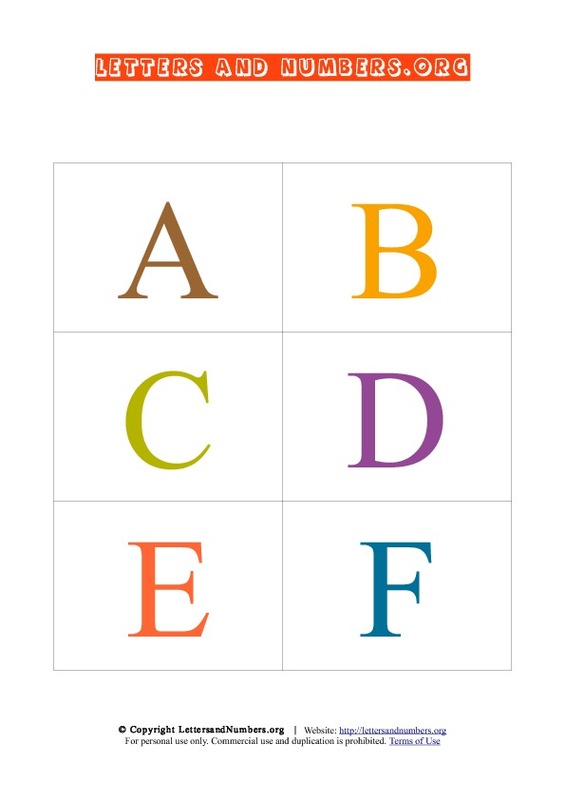 A to Z capital letters ( Uppercase ) multi colored printable flash cards to print. Available in pdf format with 26 letters, these uppercase flashcards are available in multiple colors such as orange, green, blue, purple yellow and brown. Created in large clear colored letter patterns. Our free printable flash cards with alphabet letters are is available in capital uppercase. Lowercase flash cards are also available. Print these PDF letter flash cards on our website for free!. It's great for school. Use these cards for your educational activities while teaching children. Instructions: To print our free letter flash cards, please click on the link below the flash card preview. You can download the pdf file which contains all letters from a to z which will appear in a new browser window to download and print.